If you’ve ever wondered what the Lynchian equivalent of “The Tree of Life” would look like, last night’s entrancing episode of “Twin Peaks” offers a clue. It might have been the most visually stunning 60 minutes of television ever produced — and certainly the revival’s best episode since last month’s two-part premiere — and most who tuned in have no earthly idea what actually happened. As fate would have it, that interview was about the fact that Lynch didn’t have “the big idea” and thus wouldn’t be making a feature anytime soon. 11 years after “Inland Empire,” we might be seeing his biggest idea yet. 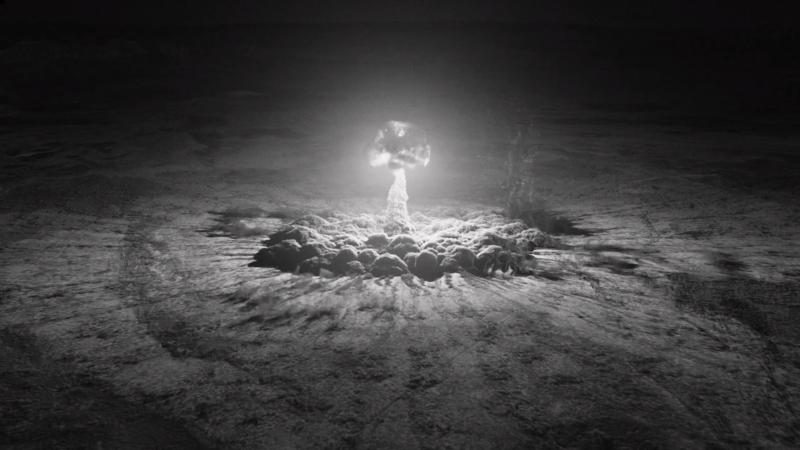 Instead of following Malick’s lead and showing us the birth of the universe, Lynch gave us an insect’s-eye view of a mushroom cloud and all the granular, multihued chaos within. There’s little concrete information beyond the fact that this nuclear explosion takes place on July 16, 1945 in White Sands, New Mexico, which means that we’re bearing witness to Trinity — the first-ever detonation of a nuclear bomb. “Twin Peaks” has likewise been traveling west and east this season, so much so that “Twin Peaks” now feels like a blanket term for Lynch’s increasingly far-flung proclivities rather than the name of a once-sleepy logging town in the Pacific Northwest. This destructive, almost apocalyptic display was the latest and most extreme reminder that nothing is too out there for him. If this episode is any indication, perhaps “The Tree of Life” wasn’t Lynch’s cup of tea — or coffee — because it was just too transcendentally life-affirming for his taste.